If brevity really is the soul of wit, then Wisconsin multi-instrumentalist and singer Mike Krol may be the clown prince of garage punk pithiness. After three super-tight albums whose combined running time maybe amounted to a total of fifty minutes, Krol returns with Power Chords, his fourth and longest full-length at just over a half hour. If it ain’t broke, don’t fix it must be Mike’s motto, as the eleven songs here continue in the vein of the ecstatic, overmodulated power pop he’s faithfully delivered since 2011. Power Chords’ title track starts things off with a jaunty beat, occasional handclaps, and a tambourine that delightfully contrast Mike’s lyrics which seem to promise revenge from beyond the grave. The single “What’s the Rhythm” follows and creates a nice bridge to the excellent “An Ambulance”. With a recurring siren-like lead guitar line, pounding caveman drumming, and visceral compositional transitions, “An Ambulance” is an obvious standout. “Can somebody call an ambulance, to save me from my self-offence tonight?” Krol sings during the track’s excellent climbing chorus. Never one to hide flaws, Krol hits the record’s halfway point with “Left for Dead”, a song that begins with no less than four false starts before we’re off to the races. The seemingly quick and dirty production and mixing from track to track is all part of the charm as the drums and bass get pulled in and out and the guitar parts bounce from left to right without warning. Aside from the occasional addition of a tambourine or handclaps, there isn’t much variation instrumentally on Power Chords. A guest appearance does occur, however, on “I Wonder” when Swearin’s Allison Crutchfield provides lovely backing vocals two-thirds of the way in. “Arrow in My Heart” is the closest Krol gets to a ballad, and although the song is the slowest tempo-wise on the album, it doesn’t forsake Mike’s trademark fuzzed-out guitar sound or distorted vocals. What’s perhaps nicest about Krol’s consistency stylistically from album to album up to now is that anyone jumping on this far into his career won’t be disappointed when backtracking through his earlier catalog. That Mike is still able to mine fresh material from his fuzz-punk formula without ever sounding like he’s repeating himself is admirable. How much longer he can keep this up is another question altogether. 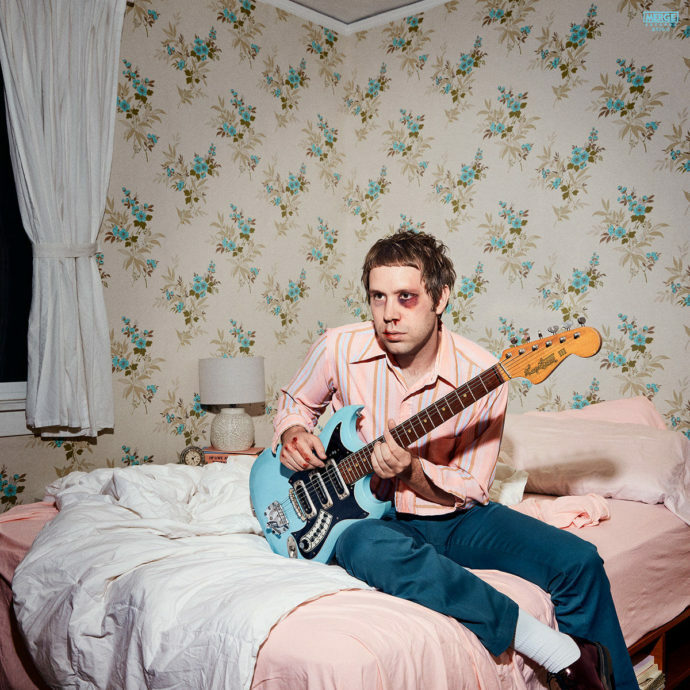 Regardless, Power Chords is a fun ride from beginning to end, and whatever Mike Krol does next will most certainly be interesting and exciting.